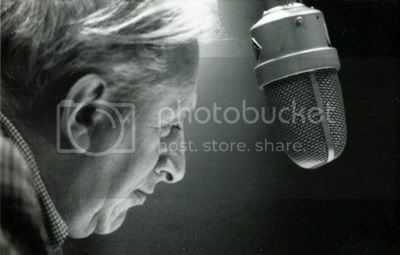 We will not let a day pass without paying tribute to the great radioman and Pulitzer Prize Winner Studs Terkel, who died yesterday at 96. One of America's greatest voices for decades, he was a skilled interviewer, oral historian and a celebrated author who touched the lives of millions of people. You will see from the video clip below how vicarious and productive Terkel was well into his 90s. To quote Terkel on his own life; "Curiosity did not kill this cat." He will be sorely missed. Terkel was first known to America as a popular radio personality through his 45 years at Chicago's WFMT radio. For decades, Terkel was the gold standard when it came to radiomen. He was probably one of the best interviewers in media history. He never prepared his questions. He interrupted his guests often. Yet Terkel was known as a master interviewer, able to establish an easy rapport with just about anyone. His secret, he once said, was simple: "It's listening." And listen he did: to sultry jazz singers and insecure housewives; to a repentant Ku Klux Klan leader; to Bob Dylan, the Rev. Martin Luther King Jr., Marlene Dietrich, Bertrand Russell; to a parking lot attendant and a lesbian grandmother; to a piano tuner; and to a barber. Terkel died of old age at his home in Chicago, his son Dan said. "He lived a long, eventful, satisfying, though sometimes tempestuous life," Dan Terkell said. "I think that pretty well sums it up." The author of blockbuster oral histories on World War II, the Great Depression and contemporary attitudes toward work, Terkel roamed the country engaging an astounding cross-section of Americans in tape-recorded chats -- about their dreams, their fears, their chewing gum, about racism, courage, dirty floors and the Beatles. 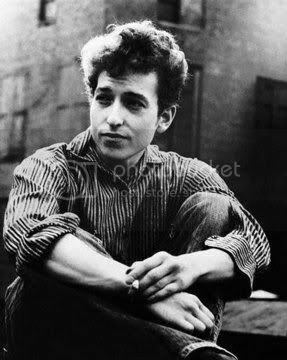 I can't think of any way better to commemorate the great life of Studs Terkel than sharing this remarkable and rare, high-quality 1963 radio interview with Bob Dylan. This one was recorded in studio at WFMT Chicago. Bob is only 22 years old in this interview. He gives a great performance including the first ever recording of Boots of Spanish Leather. This one is an absolute must have for Dylan fans as well as for those who love listening to magical moments locked in time. Dylan is tired of the interview at this point, signaling that he has had enough. The coy Terkel lets Dylan rest during a period of conversation, then some how draws yet another song out.